Thule bags have fast become a favourite of mine. I use the Thule Commuter Pack 'n Pedal Rucksack on a daily basis, to carry kit to and from work. 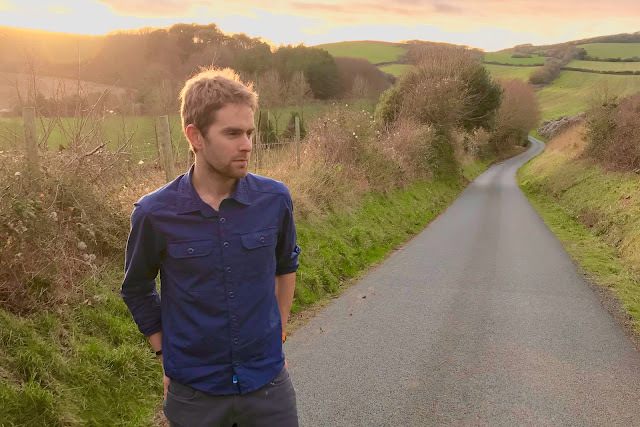 I use the Thule Paramount Rucksack, as my 'go-everywhere' travel bag. Then, I use a Thule Pack 'n Pedal Trunk Bag, for shopping runs and errands. The range of bags from the Swedish brand, is outstandingly good quality; and they are designed with intricate details, which make them a pleasure to use, and keep using. The Thule Pack 'n Pedal Shield Panniers are a more recent addition to the line-up from the brand; adding some colour to their range of panniers, in a simple but very effective design. 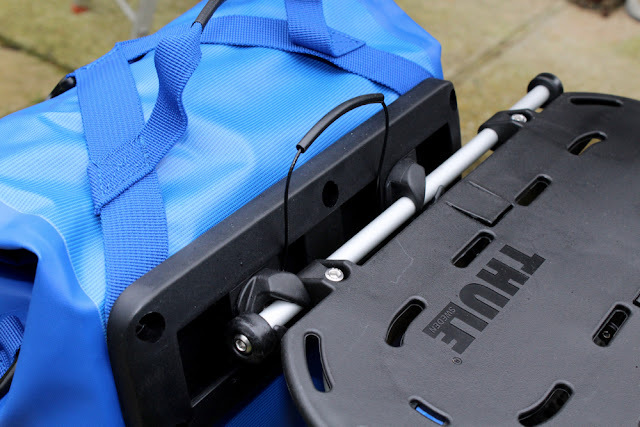 The Shield Panniers will work with most pannier racks, but for this test review I've been trialling them with their intended partner - the Thule Pack 'n Pedal Tour Rack. 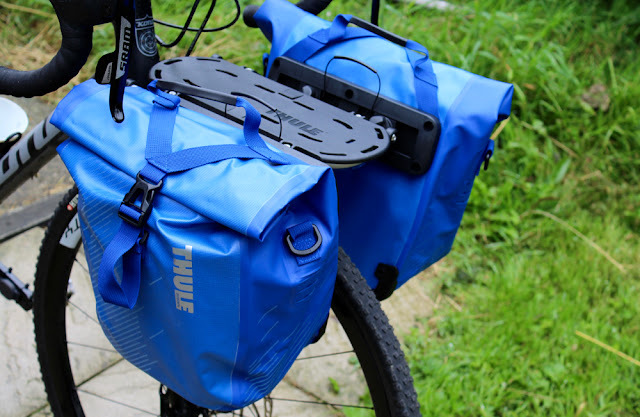 The Thule Pack 'n Pedal Shield Panniers provide a great waterproof solution to kit transportation on the bike. With some neat features, and bold colourful designs, they have impressed me during my testing to date. 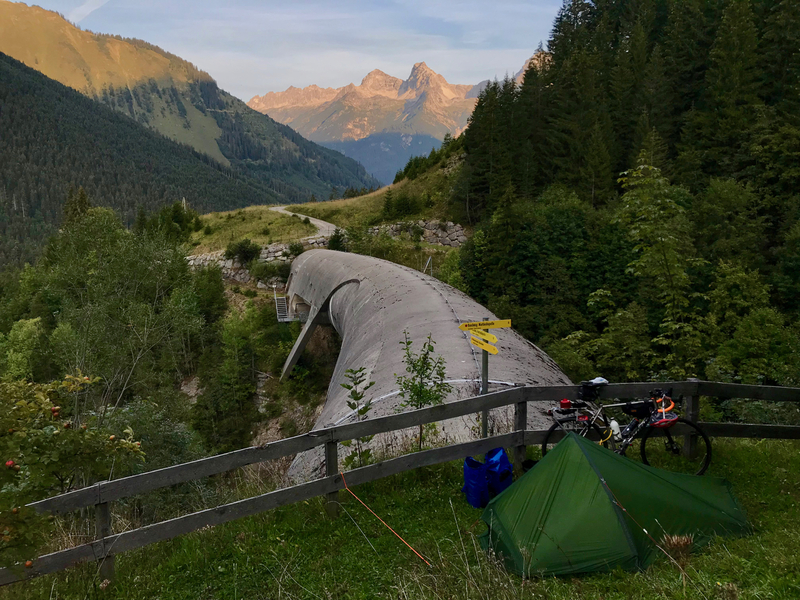 Waterproof panniers don't need to be complicated; they need to keep your kit dry; they need to stay attached to the rack; and ideally they don't weigh a tonne. Thule have followed these requirements well with their Pack 'n Pedal Shield Panniers; creating a minimalist, but strong performing option. 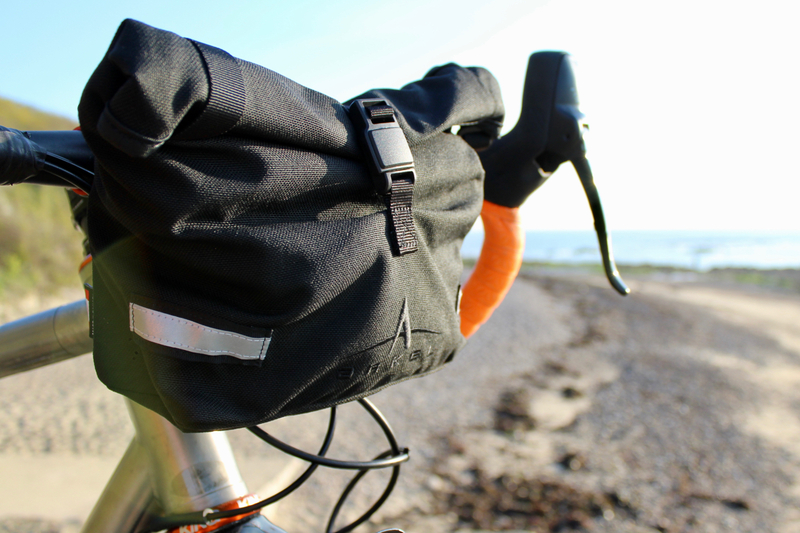 The bag's design uses the tried-and-tested roll-top closure system; which is now pretty universal for waterproof panniers. The roll-down is secured in place with a smart quick-release buckle strap, which creates a reassuringly sealed closure, no matter how full the bag is. 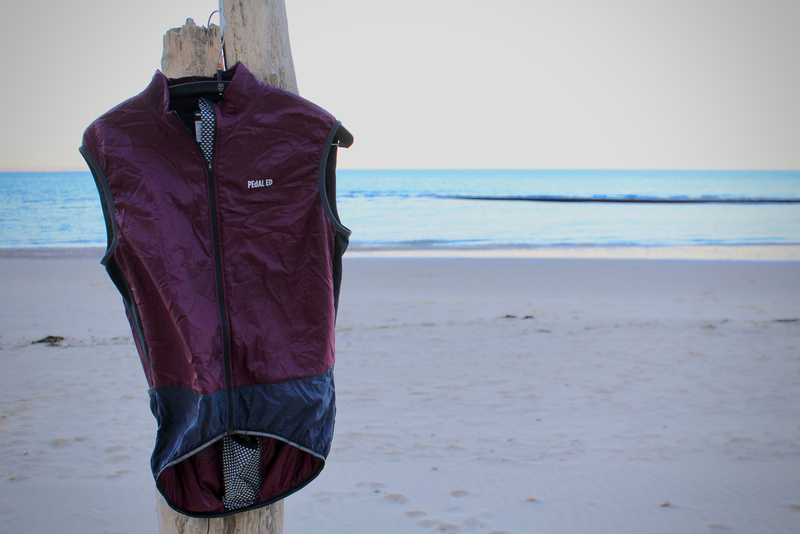 The waterproof coated fabric, with welded seams, then ensures that the contents stays dry, even in the worst downpours. 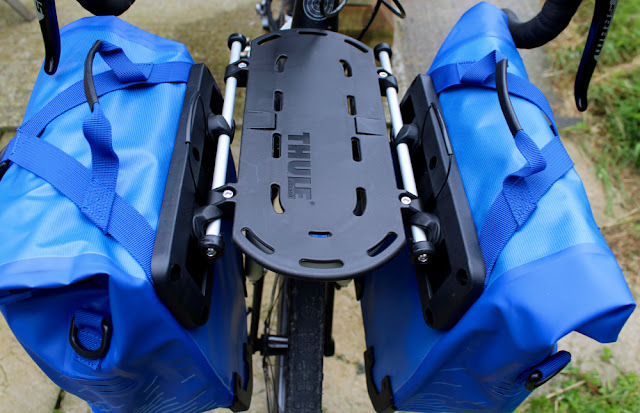 The Thule Shield Panniers use the same mounting system as the Thule Pack 'n Pedal Commuter Pannier, which I have previously reviewed on the blog. It is a unique patented system; using spring-loaded cams to attach the bag to the top rung of the rack, then a strong magnet to keep the lower part of the bag close to the bike's centre line. 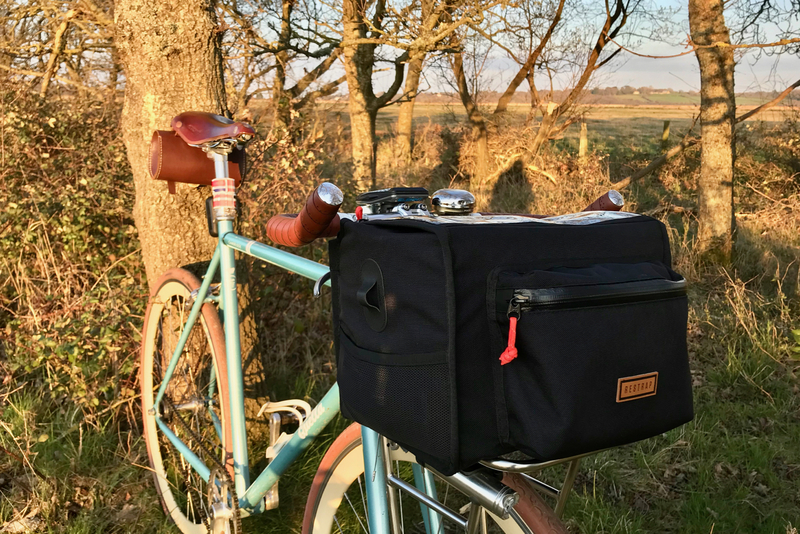 The system worked well on the Commuter Pannier; that bag continues to be used off-road by another tester, and I haven't heard of it ever bouncing the bag off the rack. 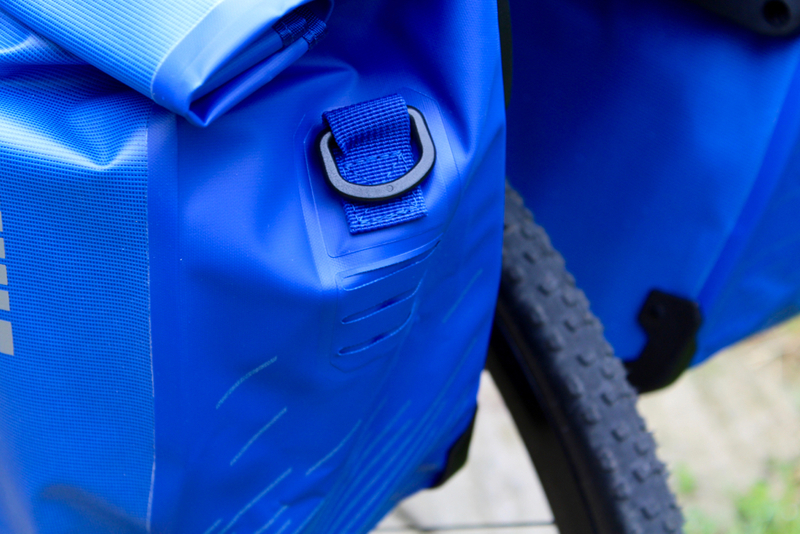 It works equally well on the smaller Shield Pannier, and provides a reassuring, secure attachment. 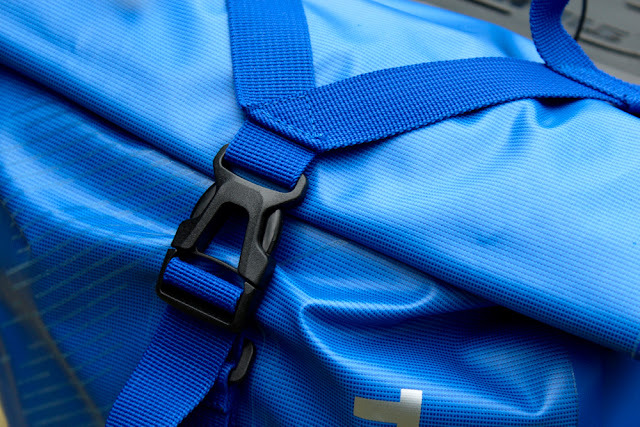 Thule are great at adding in the little details to their bags; things that make them stand out, and make them a pleasure to use. On their rucksacks, for example, they have neat crush-proof "safe-zones" for sunglasses and valuables, which have proven to be super useful. On the Shield pannier set, there isn't that much scope to add too much in terms of bells and whistles, as it would add bulk and weight. 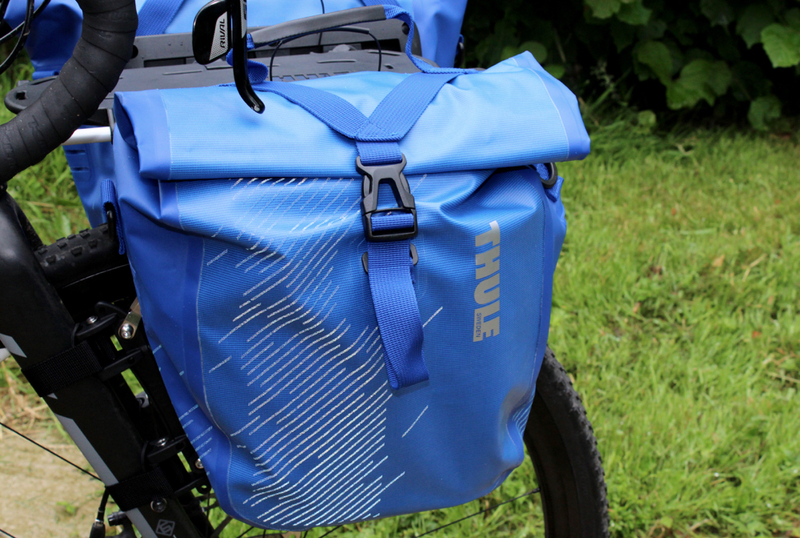 However, Thule have made some clever additions to the classic roll-top pannier design; the most noteworthy of these are the interior organisation pockets, shoulder straps and light clips; all of which are nice features, which add extra practicality. 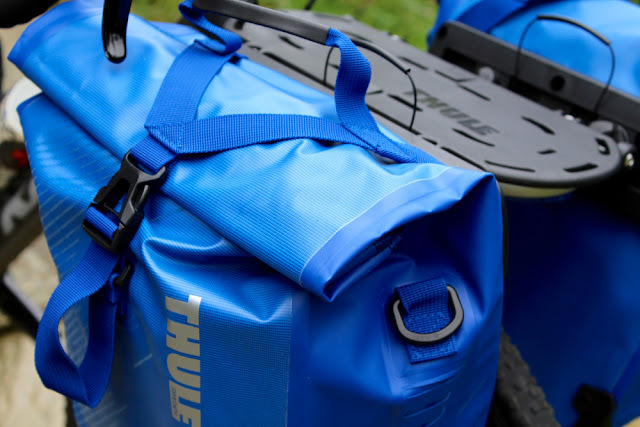 The Thule Pack 'n Pedal Shield Panniers are another great product from the Swedish company; a bag which could deal with everyday use and abuse, and do so in a smart and sophisticated manner. The set that I've been testing here is the small version, which works very well as a compact pair of rear panniers (rather than one unbalanced large pannier); but they also work very well as front panniers. 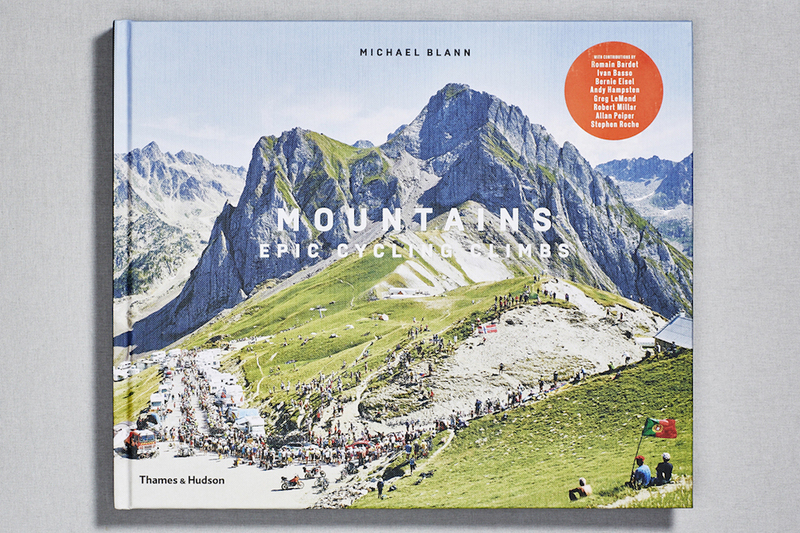 It is in this latter position that I intend to use the Shield Panniers most, and they are currently on my shortlist of kit to use for my 'Coasts and Cols Tour'. 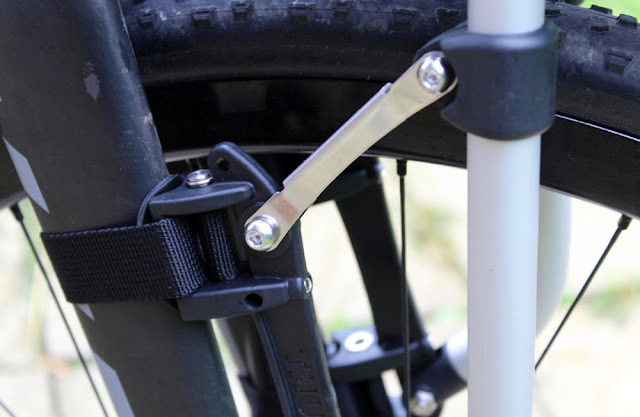 The Thule Shield panniers will work with most pannier racks, and they come with a variety of fixings for various rail diameters and formats. 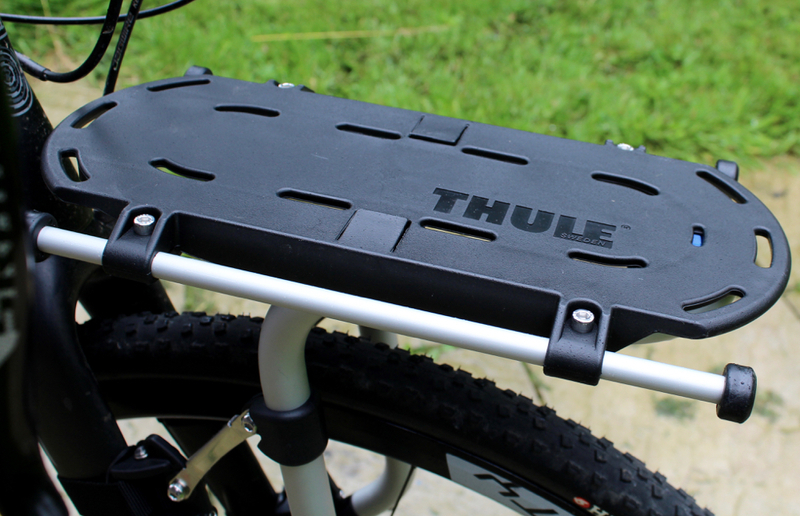 However, they are normally showcased in use with the Thule Pack 'n Pedal Tour Rack; a unique and very versatile pannier rack. The aim of the game with the Thule Pack 'n Pedal Tour Rack, is universal fitting. 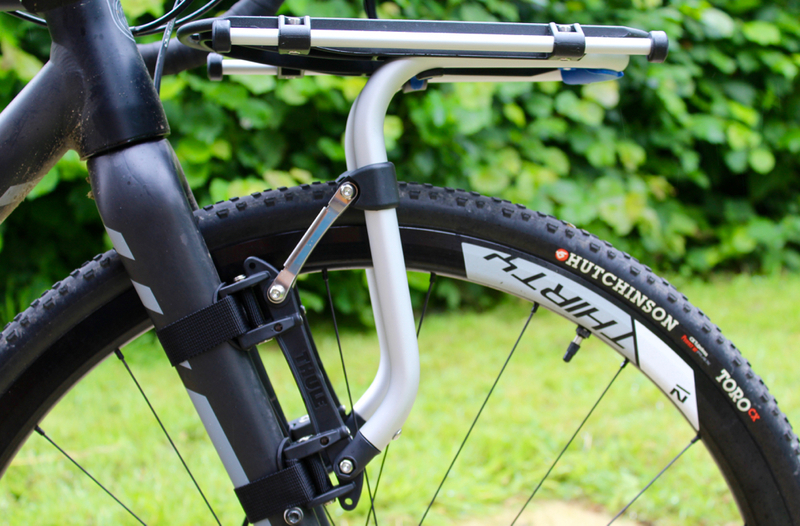 It is designed so that it can be pushed into duty on any bike, whether road or mountain; as well as being usable as both a front or rear rack. The rack achieves this versatility through the design of its 'legs'. 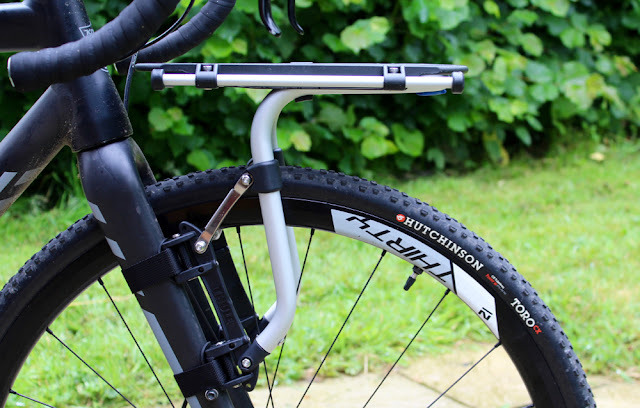 The aluminium tubes can be adjusted using various struts, to allow you to fit them to any tube angle - be that vertical forks, or sloped seat-stays. The legs attach to the tube using strong webbing ratchet straps, and rubber feet. 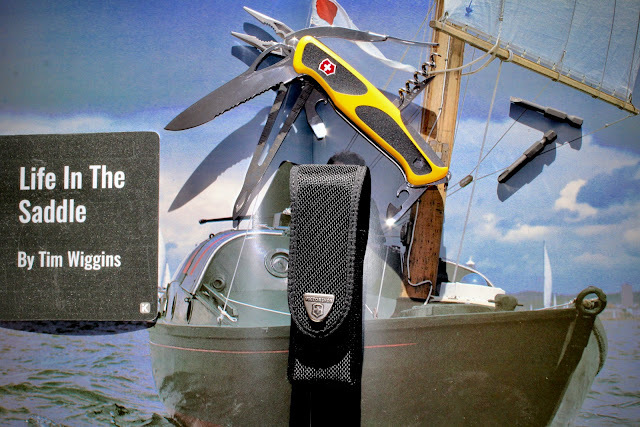 The ratchet straps are tightened up with a hex key, so you can get a really tight hold. The result, is a secure grip and hold onto the chosen surface; it really does feel pretty rock solid. 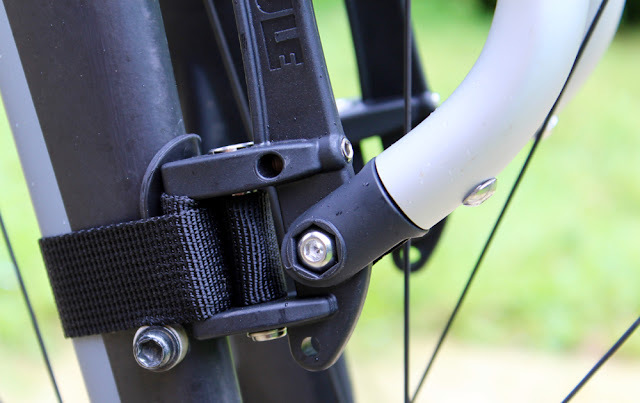 It also means you have the ability to mount the rack on bikes that don't feature frame or fork eyelets, or which have rear suspension; that is highly innovative! 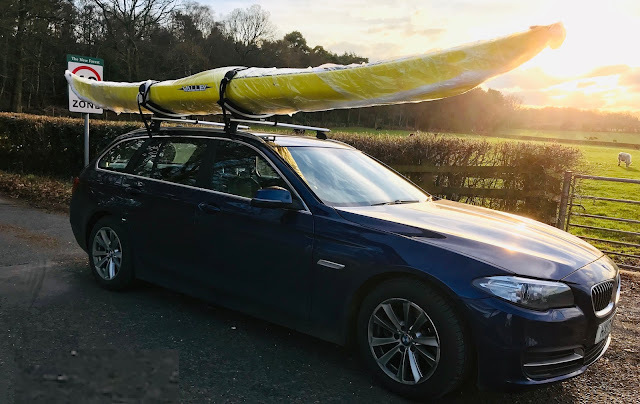 I've fitted the rack to my Kona Private Jake, both as a front and rear option, and in both duties it has performed very well. 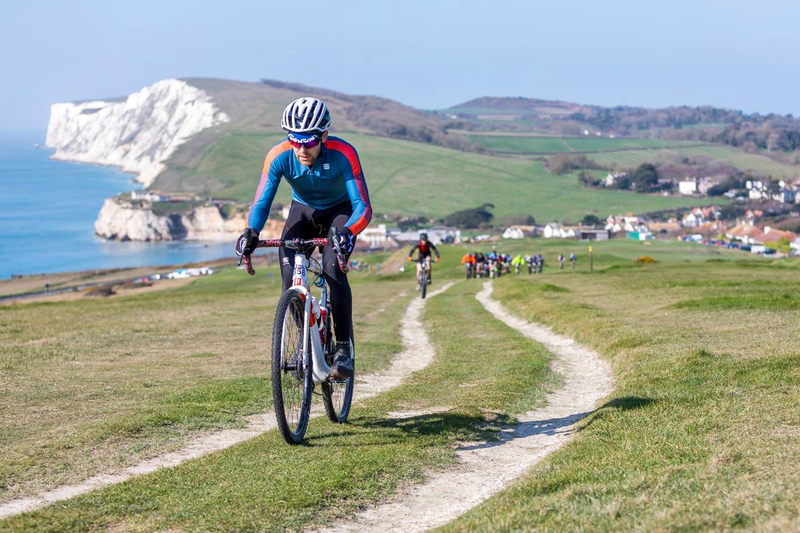 Unlike some racks that I've tested, there is no disconcerting wobble or vibrations from the Tour rack; it also hasn't moved a millimetre, even with bumpy Isle of Wight roads, and a heavy load. Impressive. I have a sneaking suspicion that the design of the top platform on the Thule Tour rack was heavily influenced by the popular Scandinavian cargo bike design; with its solid plate design, allowing you to carry a whole multitude of loads. 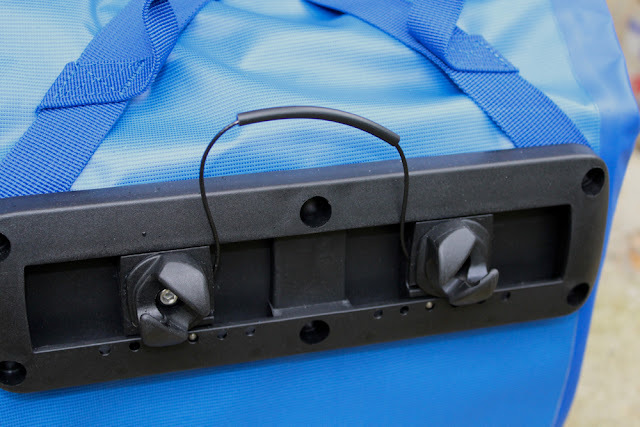 The plastic top plate, with its adjustable aluminium rails, clicks into place on the tubular aluminium legs; providing a super solid rack top, which is suitable for rack-top bags, panniers and strapped-on loads. 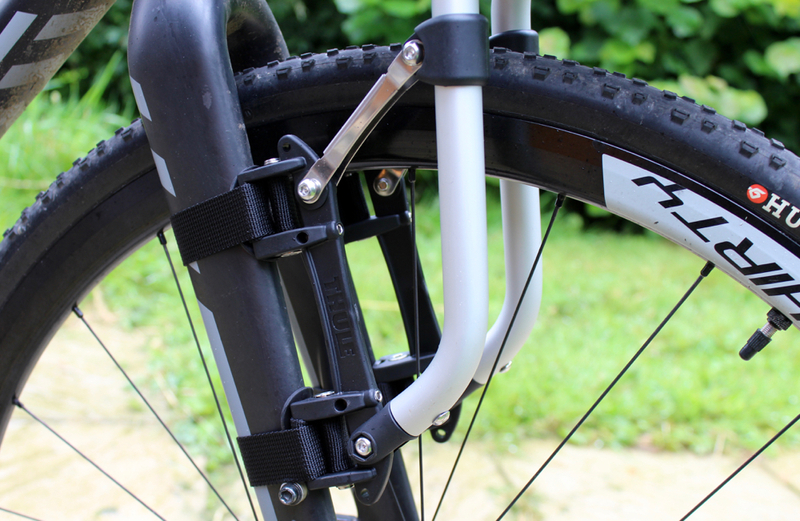 The design does add a bit of weight compared to your traditional style pannier rack, but it also adds wheel spray protection, both for you and your rack-top loads/bag; in my opinion it's worth the extra weight. There is little doubt that the solid platform and the sliding pannier rails make the Thule Tour Rack very versatile, and add a lot to the functionality. It actually makes me wonder why more brands haven't adopted this solid-platform approach before. The strong aluminium tubing and ratchet straps create a secure and super-solid platform; whilst the adjustable rails, and the solid top-plate, create a versatile carrying solution. I'm looking forward to really using this rack in earnest for the Coasts and Cols Tour, and I'm sure it will perform well.